OK. So, Columbia, Missouri is not the smallest of towns. There are ~100,000 people here and a major university. However, we are a two-hour drive to any major city. We’re surrounded by farmland here. Columbia is far from metropolitan. What this means for the beer/indie nerd is that we are often shorted our desired consumables. There’s no record store. There’s no 40+tap beer bar. Many bands pass over our town in search of larger crowds (or an unwillingness to make three stops in Missouri). And many special release beers never make it to our store shelves. One can feel pretty isolated in such a town. We often turn inward, but even that has its limitations. Music scenes ebb and flow as kids graduate and move on before a new batch arrives. We’re relegated to the same two local breweries once we’ve consumed whatever’s left on the shelves. Small towns just can’t maintain a certain level of entertainment and consumables to keep the average gentleman dabbler properly occupied. That said, there are benefits from time to time. These benefits or advantages don’t come around often, but when they do, it can be pretty satisfying. 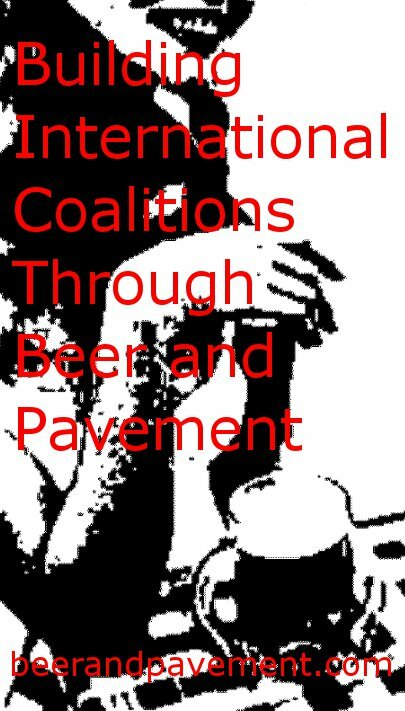 Of course, what I’m talking about mostly pertains to beer and indie rock as other small town benefits (decent schools, nice place to raise a family, everyone knows your name, etc.) are arguably not that great or not exactly for what one is looking. The biggest advantage to living in a small town is that when someone or something comes to town, there’s a much greater chance that one will be able to take part in the festivities than if the same thing happens in a larger city. Take concerts and rock shows for example. I attended a Built to Spill show a few years back, something I had grown accustomed to over the years, especially in a town the size of Columbia. If and when a band came to town, I could secure a ticket or two with little difficulty. That evening, I was chatting with friends who had previously lived in NYC. For them to see a band like Built to Spill would have taken an extreme amount of luck and $10-20 more per ticket. If a band comes to Columbia, I will be able to get a ticket or at least through the door with ease. Sometimes, there might not be that many of us in the room. It’s a definite perk. Interestingly, this phenomena also applies to most small-to-medium-sized cities. It worked well in Columbus, OH most of the time with a few shows that sold out before I could get through to the operator or the Ticketmaster desk at Krogers. However, cities like St. Louis and Kansas City are even easier to gain access to marquee shows. Take tonight for instance. I’m heading out to Kansas City for the Wild Flag gig, something I would have difficulty doing in a larger city. The band has a ton of buzz and is touring like mad, but I suspect a ticket in NYC or Chicago is hard to come by at the moment. With beer, it’s all about the special releases. Like the bands who may or may not stop through town, we have to hope that distributors can find it in their hearts to allow us a case or two of the good stuff. Some beer we will never see, but some makes its way onto our shelves. 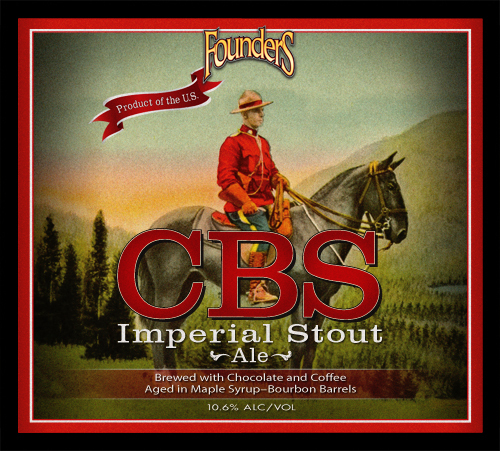 Yesterday, for example, while some were getting shut-out, stores here in Columbia were quietly placing Founders Canadian Breakfast Stout on their shelves. Actually, in the case of the store around the corner from me, I was able to get a manager to go to the back and retrieve me a single bottle of the liquid gold. I figured that I was lucky enough to get one bottle and would leave the rest for others. It really was that easy to get my hands on a bottle of what is turning out to be a super-rare beer. There was no mad rush, no lines, no crashing computers. I will complain a lot about the seclusion of living in this town, but I don’t ignore the benefits. When a band comes to town I wan to see, it happens. When a rare beer hits our shelves, I’ll more than likely get my hands on one. The lack of competition means that gentleman dabbling can continue despite other deficiencies in availability. This post really speaks to me right now. There’s a ton I miss about Buffalo, but Ames has its own charms. We just had the Maximum Ames fest, with over 100 bands playing between Thursday and Sunday. And the headlining Mountain Goats show was outstanding and took place in a 56-tap bar that’s a mere 400 ft. from my door. Nothing to complain about there… Now, to call up Cliff, my local beer merchant, to see if he has this amazing-sounding beer. Sorry. It’s extremely rare and Founders doesn’t distribute to Iowa. Maybe I’ll have luck in MN next week… A girl can dream. I have a feeling I’m going to come home with a car full of beer regardless. Surly. Buy lots of Surly. I wish you had gotten a CBS for me. It went so quickly at Schnucks! I was there at 1 and it was gone. Also, you should repost this on TCC. I will repost with some editing. I live in Grand Rapids, where that lovely beer is made. I decided to steer clear of the brewery upon it’s release, mostly because I was broke, but also because I know of the mania that beer and KBS causes. Fortunately, I’ve had many opportunities to have CBS on tap over the past couple years (back when they said they’d never bottle it because it was too expensive or too difficult to procure barrels for). While I am happy to see my local brewery do so well, I wish there was not so much hype around the KBS and CBS releases. On one hand I say that because, hey, more for me. But on the other hand, I wish there was more love for their other great beverages. Oh well. By the way, I don’t know if they’ll bottle this one, but they released a beer on tap a few months ago called Cashew Mountain Brown. It’s a barrel-aged imperial brown ale with tons of cashews in it. Incredible. Anyway, enjoy your CBS! Thanks. Yeah, it’s tough. The same goes for a favorite band. When no one knows who they are, it’s easy to get through the door. However, as they become more popular, they play more shows, but those shows suddenly get harder to access. I think the best thing to do is to appreciate the beer if/when we get our hands on it. And when we don’t? Remember that it’s just beer and to crack open another.